Edward Tillinghast is a partner and Practice Group Leader of the firm's Finance and Bankruptcy Practice Group. He specializes in U.S. and cross-border insolvencies, particularly involving Asia and other emerging and developing markets, and related creditors' rights litigation. Mr. Tillinghast specializes in corporate reorganizations, cross-border insolvencies, creditors’ rights and related litigation, distressed acquisitions and insolvency-related opinions. He advises clients in many jurisdictions throughout Asia, Australia, Europe, Russia, South America and the United States, and has been lead counsel for parties in cases in many courts, including the Supreme Court of the United States (Commonwealth of Puerto Rico, et al. v. Franklin California Tax-Free Trust, et al., Chase Manhattan Bank v. Traffic Stream (BVI) Infrastructure, Florida v. Nixon, and Rasul v. Bush) and cases in the Second and Third Circuit Courts of Appeal as well as many bankruptcy and district courts. 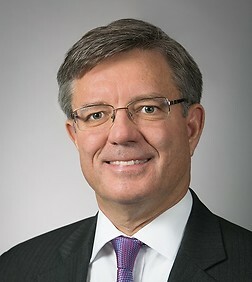 He has represented debtors, committees, institutional lenders, indenture trustees, and distressed asset purchasers, and has had major roles in recent chapter 11 cases including: Sanjel (USA) Inc. (lender), American Airlines (special debtor counsel), Friendly's (creditor), Hawker Beechcraft (committee member/indenture trustee), Del Biaggo (committee), Hess Publishing (creditor/landlord), Aloha Airlines (special debtor counsel), Morgan Creek Productions (lenders), Powerwave Technologies (creditor/landlord), Riverstone Technologies (committee member/indenture trustee), TerreStar Networks (special committee counsel), Vectrix (debtor), Lehman Brothers (creditor), and FGIC (indenture trustee). Plaintiff Derek Jeter in Delaware and Swedish ligations involving Revolution Wear, Inc.
Nipro Corp. in acquisition of Infraredx Inc.
SIA Engineering Company Pte Ltd. in the chapter 11 case of Tower Air, Inc.
ORIX Real Estate in acquisition of substantial bond portfolio from chapter 11 debtor Criimi Mae, Inc.
United States Electrodynamics Inc. in chapter 11 case of ICO Global Communications Services, Inc. Bondholders in connection with the restructuring and exchange offer for Anker Coal Group, Inc.
Tianjin Economic-Technological Development Area in chapter 11 case of MGM Commercial Co., Inc.
ING Lease International Equipment Management B.V., as the largest unsecured creditor and a member of the Unsecured Creditor's Committee in chapter 11 case of Pan American Airways (II). Committee of bondholders in chapter 11 case of Bookook Securities, Inc.
Major landlord in chapter 11 cases of Atlantic & Pacific Tea Company, Chrysler Motors, Just for Feet, Loehmann’s, Einstein Noah Bagel, Pathmark Stores, Innovation Luggage, and Caldor. Canal+ in its acquisition of the worldwide film library of chapter 11 debtor Carolco Pictures, Inc.
CIT in numerous bankruptcies and collection actions in China against borrowers and equipment lessors. International Insolvency Institute's 11th Annual International Insolvency Conference, New York, NY, "Getting Your Money out from Behind the Great Wall"
International Insolvency Institute Symposium, New York, NY, "Restructuring Distressed Debt in China"
IATA Legal Symposium, Bangkok, Thailand, "Dealing With Airline Insolvencies in 2009 and Beyond"
Distress Debt & Restructurings, Frankfurt, Germany, "Emerging Markets: Focus on China--Exploring Opportunities While Avoiding the Pitfalls"
Financial Research Associates and Legal Education Associates, New York, NY, "Financial Restructuring in the International Arena"
Inter-Pacific Bar Association, Beijing, China, "The Challenges and Measures in Achieving a Successful Debt Restructuring in China", "The Changing Face of Legal Practice & the Entry of Foreign Law Firms", and "Case Study on Crude Palm Oil-Supplies"
Institutional Investor, New York, NY, "U.S. Turnaround Management & Distressed Investing: Maximizing Opportunities in Emerging Markets: Brazil, Russia, India and China"
INSOL 2005 Seventh World Congress, Sydney, Australia, "Formal Reorganisations"
Canada-China Chamber of Commerce, Beijing, China, "A Tale of Two Realities: Exercising Enforcement Remedies on Investments in China"
China Business Counsel, Beijing, China, "Distressed Asset Acquisitions in the United States"
Peking University School of Law, Beijing, China, "The United States Bankruptcy Code: An Overview"
Legal Education Associates, New York, NY, "Benchmarking for Law Firms"
Association of the Bar of the City of New York, New York, NY, "Post-WTO China -- Exercising Enforcement Remedies on Investments in China: Greater Beijing First Expressways -- the First Judicial Liquidation of a Chinese Joint Venture"
Washington Satellite Association, Washington, D.C., "Satellite Company Bankruptcies: Common Issues Confronting Operating Companies and Vendors"
District of Columbia Bar Association/International Monetary Fund, Washington, D.C., "Restructuring Troubled International Projects"
AIJA Annual Congress, Sydney, Australia, "Officer's and Director's Liabilities in the Zone of Insolvency"
Doing Business in Italy: Which Factors Are at Play in the Economy Rebound?